In April 1919, with the support of the republican government the architect Walter Gropius succeeded to found the state Bauhaus in the Free State of Saxony-Weimar-Eisenach. Art Academy and the Arts and Crafts School were brought together with a novel program. Under the aegis of architecture, the Bauhaus looked for an approach to unite all creative disciplines. By turning away from the academic educational principle, the Bauhaus reformed art education. Teaching, in particular for workshops, provided education in technical design. Later also for the industrial design. 100 years after founding of the state-owned Bauhaus in Weimar, a new Bauhaus Museum is being built in Weimar for this anniversary. 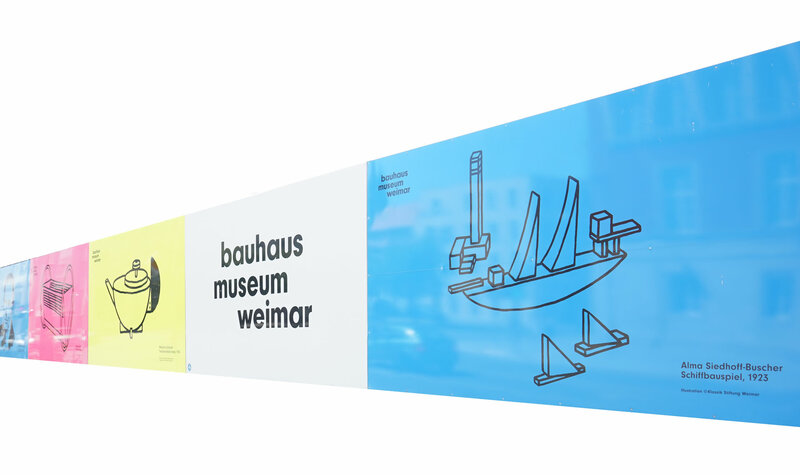 Felix Schwake was commissioned to plan the Bauhaus Museum-Store.